The Mathews Building, formerly known as the Tulsa Paper Company warehouse, is located in the heart of the Tulsa Arts District. The building was originally constructed in 1922, with subsequent additions in 1927, 1928 and 1958, and became vacant in 1990. 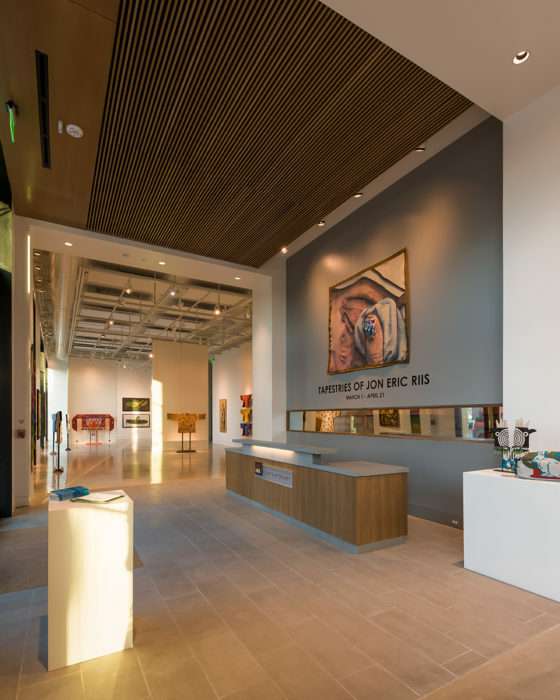 In 2007, the building was purchased by the George Kaiser Family Foundation with the idea of transforming it into an arts and education center. In 2010, the building received preliminary permission to become a “certified historic structure” from the National Park Service of the U.S. Department of the Interior, provided certain conditions were met and rehabilitation of the property is completed. 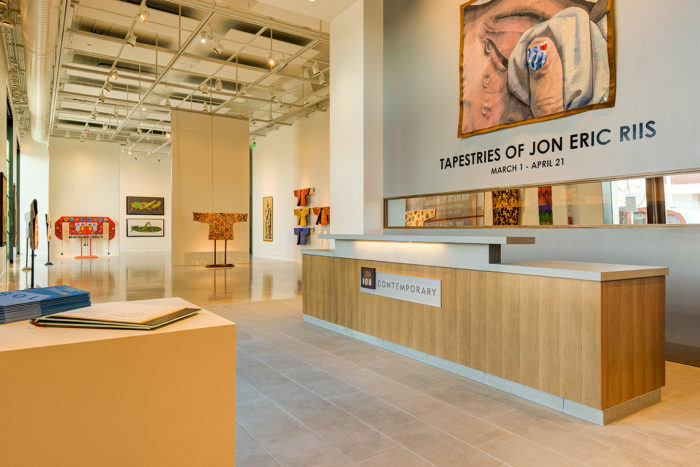 The 80,000 square foot facility was adapted to hold the Henry Zarrow Center for Art and Education, Philbrook Downtown, 108 | Contemporary and the Woody Guthrie Center. 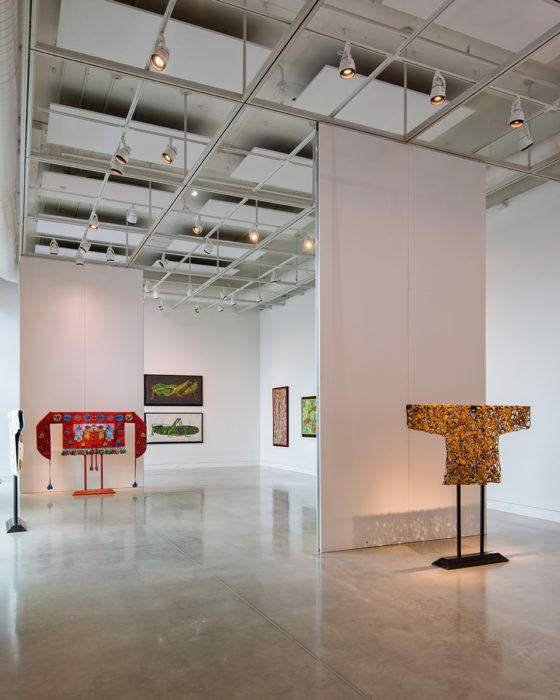 108 | Contemporary is a non-profit organization whose mission is to encourage the art of craft, supporting Oklahoma’s contemporary craft artists through exhibitions, lectures, workshops and educational events for students and adults alike. They strive to create a strong craft community by increasing awareness and appreciation of contemporary fine craft. 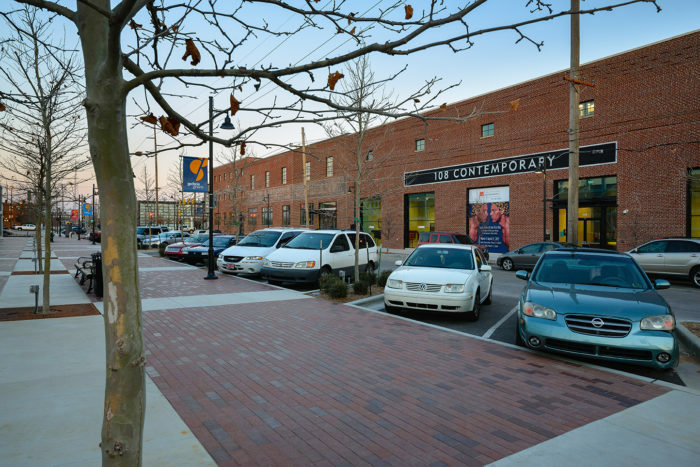 The 108 facility houses 3,500 square feet of state-of-the-art exhibition gallery as well as a juried retail gift shop.